Tesla had already launched its Seld-Driving mode car "Model-3" which is generally known by AUTOPILOT MODE. which will be definitely gonna be more interesting as the only goal is to develop more comfort & artificial intelligent security. But the question still remains the same for all "What can we predict from self-driving cars in nearest future?" Can an autonomous car be truly safe in the world with the various driving condition and as more secured to human error? As per my opinion, it truly depends on the driving condition. suppose you are late for office and you have less time to reach office. OF COURSE! you could choose self-driving mode & spend some moments to relax your mood. And if it is weekend, then truly you will enjoy a long drive with Manual Driving mode with your family. yes, its truly depend on you. lot's of people like driving, and on the other way idea to give control of your car to an intelligent machine! But this is only possible when the autonomous car manufactures shows green signals to safer Seld-Driving experiences to the public. we can not forget the headlines from the past few years that up to 15% of new vehicles sold by 2030, it could be autonomous. as per the reply of Hans-Werner Kaas, " obviously technology will remain the first question at all. Autonomous means more sensors, followed by a combination of multiple sensor technologies in one. but the technological barriers are still the same." There is a solution called "Level four Driving". yes! currently manufactures are working on the same subject considering various on-road conditions. The very first need is to set up roads in the way that can easily transmit data to hardware module & ensure that car is actually safe. To strike the balance between these two things technological improvement should be higher. on the other hand, the thing which matters to all customers about vehicle hardware. 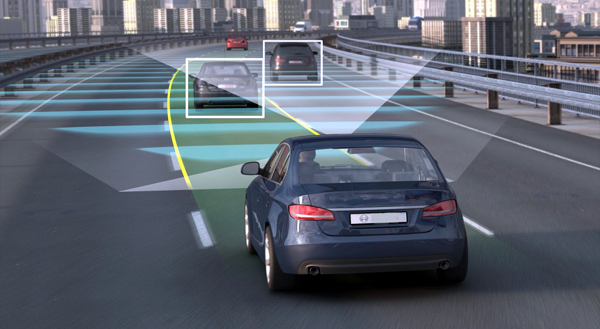 which means multiple sensors working capability, sufficient computer power within the car, advanced algorithms that detect pictures within the fraction of second and work on it. combining all the sensors, hardware modules and software solutions are they actually helpful in real traffic situation? That's the real technological challenge for manufacturers. But suppose you are on a highway, separated lanes, good weather, all good with traffic signals, it could be less complicated for AI machine to figure out an exact solution. which is only possible when the car is on a wide highway, Ex. Europe. but it cant be helpful to the small city with average road conditions. For a working autonomous vehicle, manufacturers should have a clear vision about emerging technologies that could be more helpful to sustain it against predicted errors. when its all about sensors, can camera-based sensor be still useful? The main thing is to detect visual surrounding of the car in any conditions so the input will differ from light-based pictures to the ultrasonic pictures. so it could be really really difficult to combine all these input conditions and make a single algorithm. still, we have some points that shouldn't be forgotten. When the whole point is about electrifician, it should be more efficient and sustainable with the environmental condition. second is Digitalization of connectivity. so it should be very large that can useful for one car to other, Wirelessly or wired. Third is advance driver assistance. It's the only thing that is too useful to move from driver operated car to driverless. so it could be more advanced with diverse of mobility that one can switch from one to other. It could be more attractive to the customers if they get a single variant for all seasons. Like you preferably choose SUV for winter, a convertible for summer and something other for another season. some of the manufacturers like Tesla, Google, Honda, Mercedes-Benz, Volkswagon, Volvo, TATA, Scania, BMW, Delphi & GM are on the same thing to design a complete package that can fir in any season. and what else it could be, may be we all get to know about it in future. 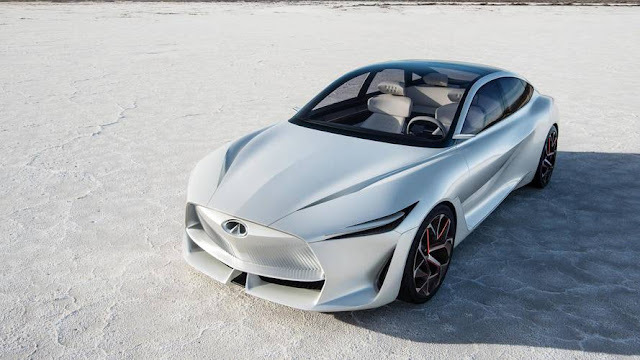 Nissan's luxury car maker Infinity has just released a new Q Concept car at the Detroit automobiles show 2018. 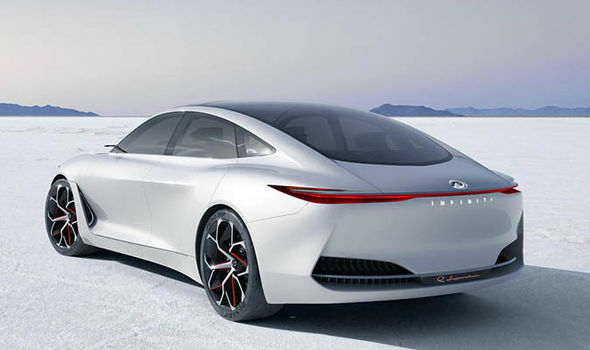 There is something new Infinity has showed, a scoop style four doors and a long panoramic glass roof. The exterior design is quite impressive at first look with impressive curves on the body. A new aggressive sharpen nero brand new grill with narrow front lights put on the front side which look likes future styling electric car. Not only Nissan but the other car makers also are going with a creative way to develop their own EV with brand new features and quite impressive mileage with the single charge. The tornado lines of the infinity Q is just as impressive as interior. The sharp edge of back with a newly designed of brake lights makes more stylish. 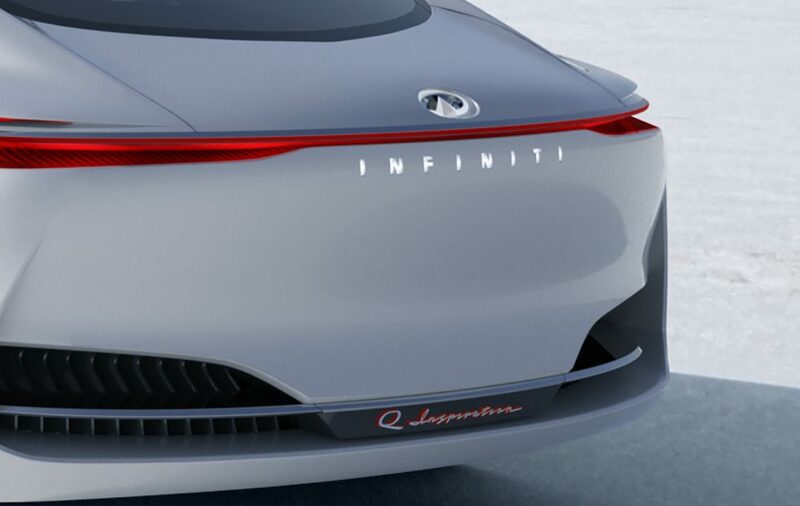 The design will probably hit the infinity is concept 9 which was revealed last year. According to the Nissan it will come with allall-wheelive and a touchscreen mountain at the side of the door. the handles of the door have been removed to make quite impressive look from the side. At the front of the car dashboard has been replaced with numbers of multifunctional touch screen Steering Wheel, which is equipped with all the functions of normal car. The power train is equipped with VC Turbo which is a globle developing Technology across the world. it may be also features Nissan new propilot semi autonomous car driving assistance. Soon they are looking forward for the production of concept q by 2019. 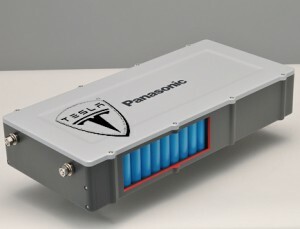 We all know that how Tesla's Model S is being too popular among the people of US, Canada and other countries but still many people don't know the proper reason behind the technical reasons so we are now going to look deeply into Tesla's battery system, power drive, gearbox, extra usable space, Wheel Drive, Security and other extra features. 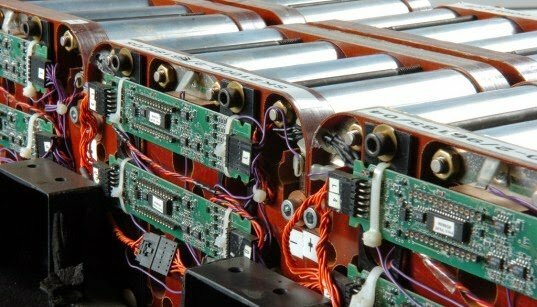 Here is the first thing that Tesla introduced The battery system, not by using a huge battery pack system but instead of it they use small battery cells in series and parallel which are quite too many to arrange it. The main advantage of the small battery system is there is no extra loss of heat during the drive went to cells are in proper working condition. It is the mean this advantage of use battery system that heats up more when the battery is in full working condition.here Tesla introduced a new system to avoid extra heat from the battery back to install a coolant system between the path of series and parallel system.this may help a car system to remain cool during full working condition and to work efficiently for longer Time than forecasted. Both systems give same power but the small better system is too easy for handling and there are no further issues of heating anymore. The second thing is the power Drive approximately 100 years ago Nicola Tesla invented is AC power drive which is generally called synchronous motor. to convert DC's power into AC there should be an inverter so Tesla introduced a combined power drive system which contains an inverter and a synchronous motor we all know that too very the speed of synchronous motor there should be a change in frequency of AC power. Which can easily be provided by inverter by the higher frequency of AC power they should be a higher rotation of output shaft of the synchronous motor not only because of this combined power drive system there is no need for gearbox system. 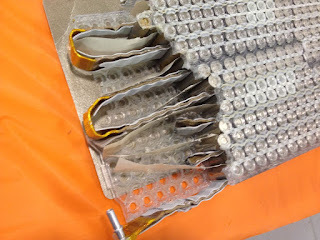 The Accelerator is directly connected to inverter through a microchip which controls the frequency of AC power from the small battery pack system. In engine power-driven vehicles it is the main disadvantage that System cannot go further limit of RPM like 2000 to 4000 RPM. But in the case of the inverter and synchronous motor combined system we can go to 17 to 18000 rpm in short range of time. There is no gearbox so the friction loss is not their overall the total power can directly transmitted by the power system. so that it can be also helpful for overall efficiency when the weight of the car is too low when the gearbox and the engine are absent. In addition to that, we have more extra space for usability. 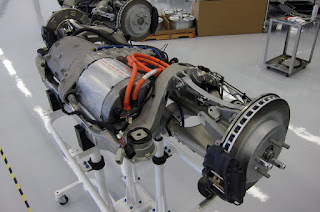 The third one Tesla used simple open differential system instead of highly complicated slip differential system. 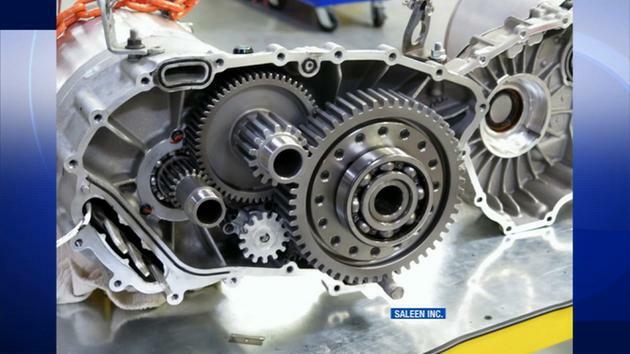 the main reason behind using open differential system is it can transmit more torque then slip differential system. The traction control problem can be controlled by selecting backing and cutting the power supply. Weather in IC Engine cutting the power supply is not too responsive to traction control problem. In this system, the power supply rate is highly responsible for using controllers and algorithms. They just replace the large complicated system with a smart software. It used the single speed transmission system that transfers the power by two steps. It is much is here to reverse them. The vehicle by only changing the face of induction motor the RMF changes into opposite direction and as an output drive will rotate in reverse direction. In addition, the regenerative braking system is too useful. it means that RGB saves the K.E. of the car into electricity. In such case the same induction motor works as a generator, here will drive is the induction motor and Powell stored back to the battery pack. 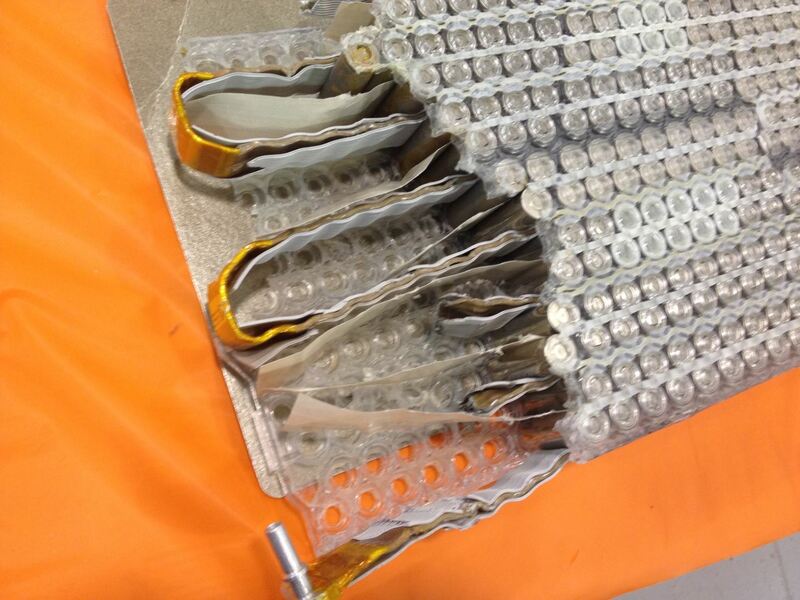 These are the main reason that Tesla's Model S is more efficient than any other IC engine powered vehicle. 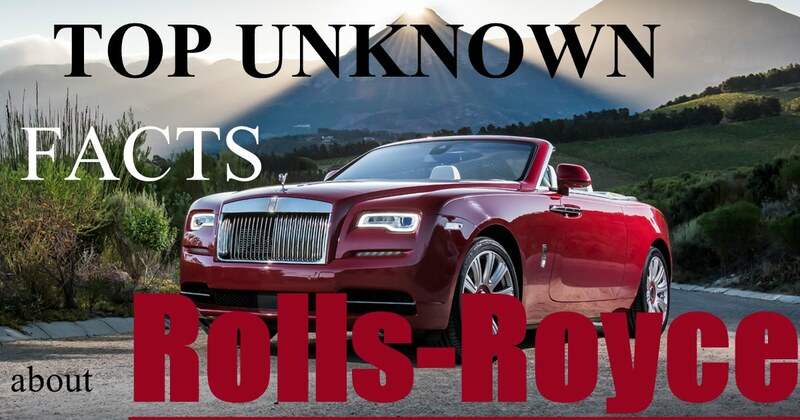 The first 10 HP Rolls-Royce was sold for $395 today it works over two lakh and 50,000. More than 60 out of 10 Rolls-Royce motor cars built are still Road wordy which is too good for Rolls-Royce to be in the market. Most of us don't know that the Rolls-Royce radiator grille is entirely made by hand and inspect by eye. There are no measuring instruments are used for radiator grill. Approximately it takes one man one day to make grill or radiator and then total five hours are spent to repolishing it. The Rolls-Royce radiator was the only one that does not recognize as a trademark until 1974. Actually, Rolls-Royce made rifles during the First World War. It takes over 800 main powers to make a complete body of phantom 5. Rolls-Royce is the only one manufacturer that engine is completely made by hand and even today latest models of Rolls-Royce engine is entirely made by Humans. It's shocking that the cooling capacity of the air-conditioning system in the silver spirit is the same is 30 domestic refrigerators. before the world war Rolls-Royce did not make a complete car but the only chassis. The body is being added by outer coachbuilders. It was a time when Rolls-Royce engine makes world records in speed in the air on the land and on the water Simultaneously. there are total 27 electric motors used in every Silver Spirit. Each glass of the spirit is given a final polish with the fine grain Pumice which is generally used for polishing optical lenses. The hydraulic tappers on Rolls-Royce motor car are given a natural finish of 16th million of an inch.